This summer, as well as wakeboarding, I've been riding up at Hemel Snow Centre. They have 2 freestyle nights, Thursday is a mellow set up, great for trying out new tricks and it's never too crowded. Fridays vibe is much different, there is a full park setup and it's time to step up your game as everybody is throwing down!! I've mainly been going up on Thursdays because of work over summer, but now that has died down i'm gonna be up there as much as possible until its time to head back to Austria!! 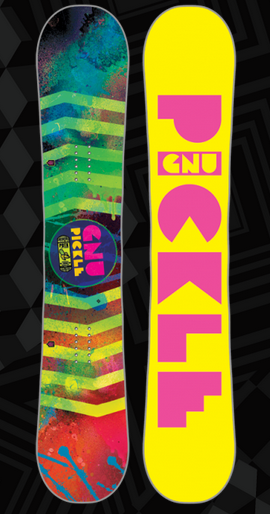 This summer i've been riding the ladies GNU pickle. I got this new board at the Snowboard Test (Spring Break) back in May. It's a tiny little 140 and a great jib stick. It's soft and lightweight so perfect for in the snowdome. I like riding a small board for jibbing, as you're less likely to catch anything on rails and it's much easier to manoeuvre. You can really get some great presses out of this board. 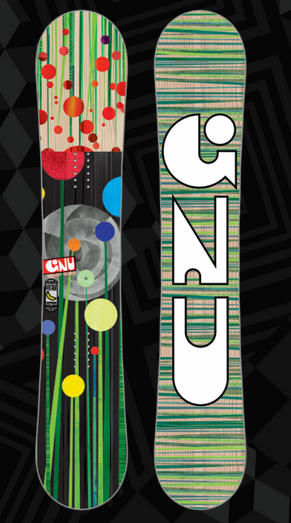 For out in the mountains this winter, I've also got a GNU Velvet Guru in a 143. I haven't used this much except for trying it out at the board test, but am saving it for once i'm back out to Mayrhofen. It should be great on the jumps and more stable at higher speeds, and i'm hoping to have that extra bit of float in the pow! I'll keep you updated!